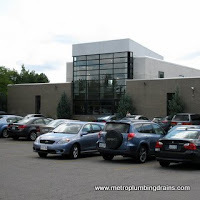 Metro Plumbing and Drainshas been in the plumbing business for several years now, servicing commercial and residential properties in the whole Greater Toronto Area, including Thornhill Ontario. Not only have we built an amazing team of experienced and qualified plumbers, but also became experts in every aspect of plumbing and draining systems. Metro Plumbing and Drains ensures our customers 100% professionalism from the first phone call to the completion of the project. We have outstanding reviews from our existing and new customers not only from Thornhill Area, but from all over Greater Toronto Area. We are filled with pride when we hear positive reviews about the outstanding companies results that our plumbers bring to our customers on daily basis. Our services are available 24 hours a day, 7 days a week, 365 days a year in the entire area of Thornhill Ontario.